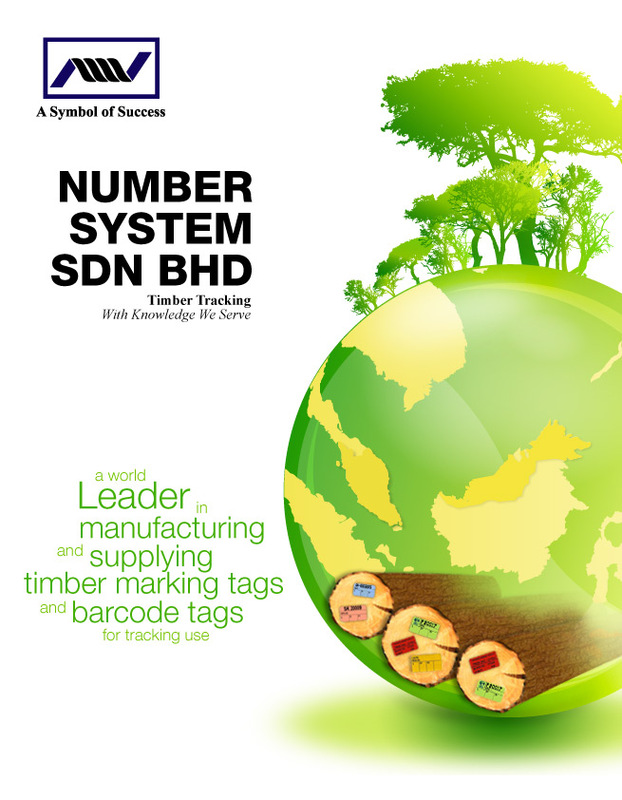 Number System Sdn.Bhd was incorporated in the state of Sarawak, Malaysia in 1989. We had sales office in Miri & Kuala Lumpur with our head office located in Sibu, Sarawak. We pioneered the concept of using rigid PVC plastic tags to identify logs and trees in Sarawak and Peninsula Malaysia. In August 1989 the Forest Department of Sarawak recognising the clear advantages over the old system of marking by paint etc; officially directed all logging companies to use our PVC tags as marking materials. Our proposal in 1995 to use different coloured tags to denote logs for different destinations according to various end uses was officially adopted by the State Government of Sarawak; and, different coloured tags to denote origin was officially accepted by all State Government in Peninsula Malaysia. The reputation of these tags as log marking materials spread far and wide and after a while so much so that we were since then exporting our tags overseas to Negara Brunei Darussalam, Africa, Indonesia, South America, Papua New Guinea and a rest of other countries. We at Number System specialise in the production of such tags and over the years have acquired a great deal of knowledge and experience regarding the usage and physical requirements for such tags. That has enabled us to gear our operation specifically to meet the varied requirements of our customers including assistance in the design of their tags with the aid of latest high-tech system. Where there was a need, we had frequently demonstrated our ability to supply tags on very short notice. We were able to do that because of our constant state of preparedness and our willingness to go the extra mile for our valued customers.